This is the latest in the Micro series by Parkzone. These miniature scale masterpieces are intended to fly indoors, in a gym or similar area or they can be flown outdoors, but only in a dead calm! Please note that this is NOT suitable for your first beginner RC plane. 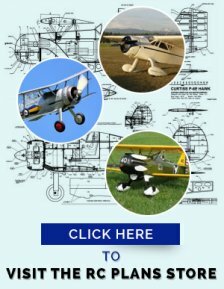 Learn to fly with a trainer type before you attempt to master these micro scale models. Take a look at this page Hobbyzone Super Cub for details of a great choice for a first plane. 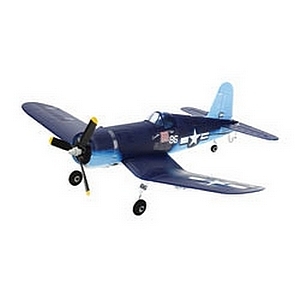 This mini Vought Corsair, like all Parkzone RC airplanes, is of molded foam construction and comes, out of the box, ready to fly. About the only thing extra you may decide to purchase is an extra, on board, lithium polymer battery. Unusual for such a small RC Corsair, is the fact that it has 4 flight functions. Namely ailerons ,elevator, throttle and rudder. The landing gear is removable, for hand launching but if you have a good surface for taking off, then the steerable tail wheel will prove very useful. 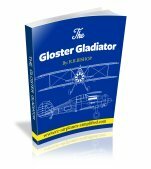 The 3-bladed propeller is standard and two sets of decals are supplied, to give you a decoration choice. With the full 4 channel control, this Corsair is capable of scale type aerobatics. like loops, rolls and wingovers, just like it's larger park flyer brother, the RC Corsair. Available as both a Ready To Fly (RTF) and as a Bind anD Fly (BNF) versions. The RTF model comes complete with a 4 channel 2.4GHz RC transmitter. The 2,4GHz frequency ensures radio reliability and you never have to wait for your frequency to be available, to fly. This is the latest radio technology available and is the only way to go! Now you can fly in your front or back yard with this Micro Corsair. Go and have fun! Take a look at the manual, this is always a good idea. 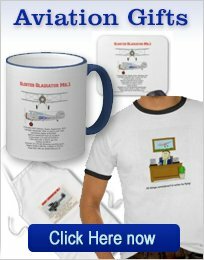 Return from "Ultra Micro F4U Corsair" to "World War Two RC Aircraft"
Return to "home page RC Airplanes Simplified"